Honourable Justice Rajesh Tandon, Chairman Law Commission of Uttarakhand ,Former Chairperson, Cyber Appellate Tribunal, Govt. 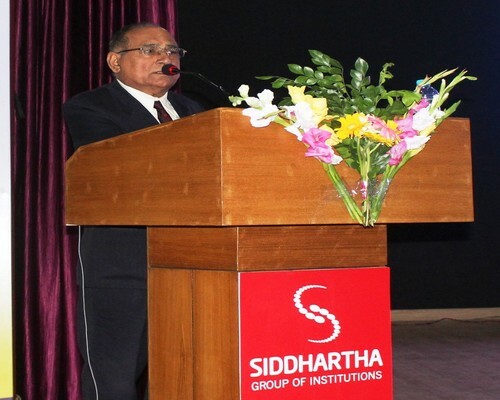 of India, Former Member of Uttarakhand Human Commission, Former Justice of Nainital High Court visited the Siddhartha Law College as a Chief Guest in National Workshop on Legal Research Methodology and Training on 30 October 2018. This workshop was organised by Siddhartha Law College Dehradun.